I looked at the reviews with him. We could see the horizontal bar graph showing the longest bar was for 3 stars. Marco told me he wanted the 5-star bar to be the longest, by a lot. During our discovery conversation, Marco told me about the time a few years back when they had a crisis caused by overspending. He never wanted that to happen again, so he was very frugal with the company’s money. One decision he’d made was that there would be no overhead on the payroll except for him and the accountant. All other employees had to do work that generated revenue, e.g. the remodeling crews. Marco remained adamant that hiring one person dedicated to customer service would be a waste of money. Logic and reasoning weren’t going to change his mind. So, we did an exercise. We looked back at the past two dozen projects. We examined all the complaints, concerns and delays and calculated their costs. Marco was pretty upset by the high number. We compared the costs of delays and remediation to the cost of a talented customer service rep. If the customer service rep could reduce the cost of delays and remediation by even half, that would pay for that person. This black and white picture of the company’s current bottom line compared to assuming the addition of a customer service rep helped Marco envision that bar chart of reviews moving in the direction he wanted. We worked together to hire the perfect fit person and create some policies that improved customer service while carefully managing the company’s costs. Two months later Marco urged me to look at the online reviews. 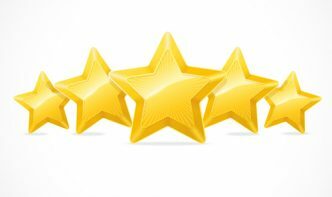 All the most recent clients gave them 5 stars! That bar graph was beginning to look a lot better in Marco’s eyes. What beliefs might be holding you back from the success you want to see? How can you get a fresh perspective that would help you change those beliefs and lead to those successes?